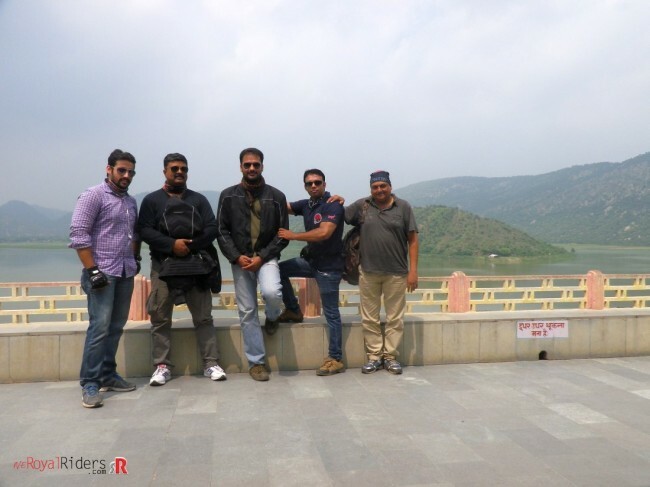 After a single day quick ride to Delhi Habitat Center for Sabya’s Art Exhibition on 30th August 2014, Riders from weRoyalRiders Motorcycling Club were looking for another short sweet ride for exploring new places. 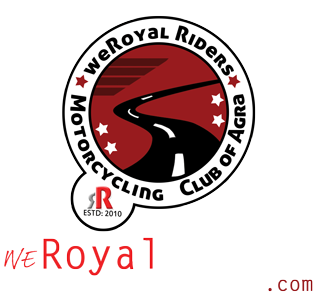 Therefore, soon a two days ride was decided and announced for Sept 12th 2014. 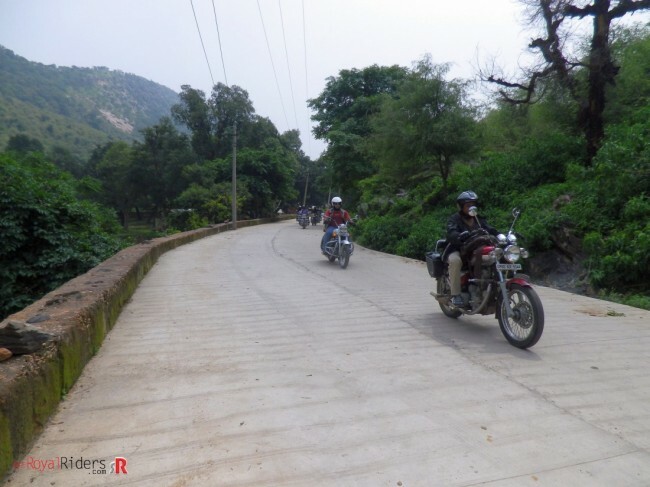 Though it was only two days ride, we were supposed to explore lots of destination including Silserh Lake (Alwar), Bhangarh Fort, Sariska National Park, Alwar Fort. 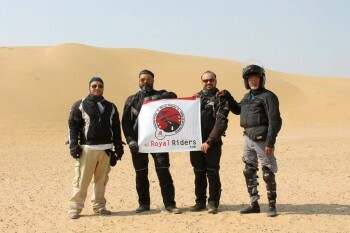 Since some of our Riders have been to these place in past, they assured that if we follow our itinerary then can easily cover all without any problem and will enjoy too. 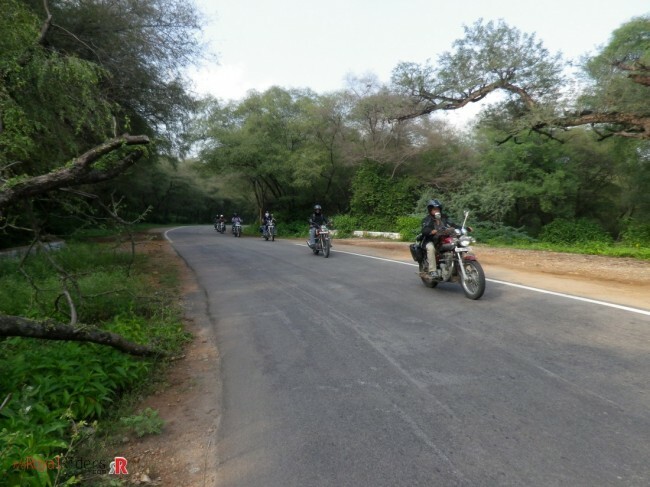 You can see full gallery for this ride at : Agra Alwar Sariska Bhangarh Siliserh Lake Ride Gallery. 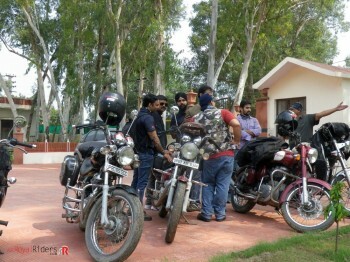 So we started in the morning and collected at decided venue and departed for Alwar via Mathura NH2. 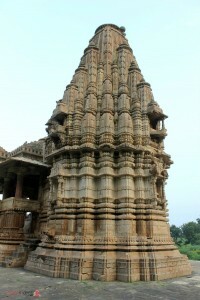 We were supposed to take breakfast after Mathura and then lunch at Alwar itself. Road is generally acceptable for NH2, however, as we took turn from Mathura towards Deeg, road started to get little more patchy but mostly good. 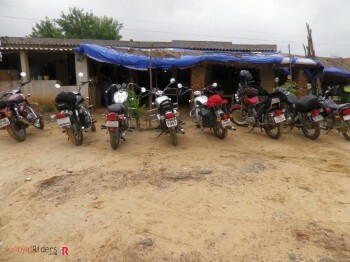 We took our first halt for a tea break at very basic Dhaba since there were not much choices in this route, moreover, there were very few people on the road, may be not so used highway. 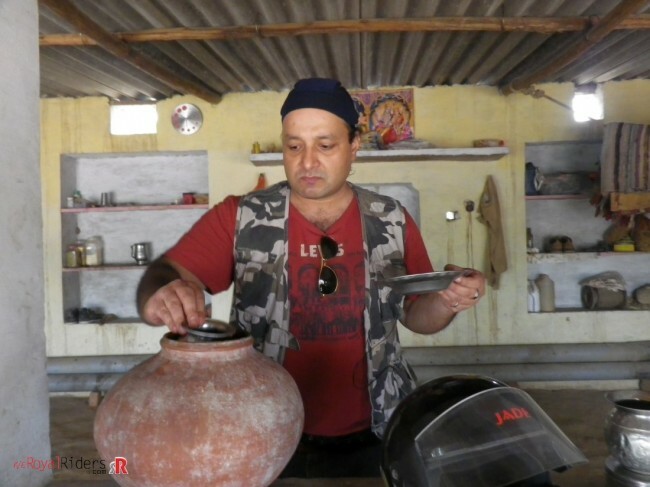 Sabya Taking water from Pitcher at the Dhaba. After this break, we moved further and when were in Deeg, roads were narrow but not very crowded, it was giving feeling as if you are passing through an ancient town with old buildings surrounding you, even roads. Only thing is that you are on modern machine ie. 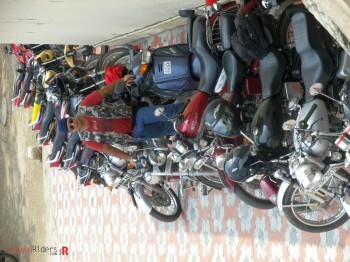 Royal Enfield instead of horses. 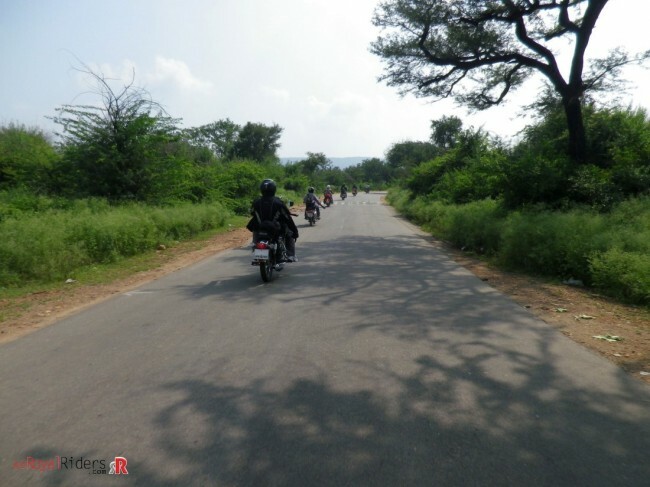 Though roads, rather call them streets were not much crowded , one of our Rider who is usually on second last position took wrong turn and was lost. We took a quick halt and then co-ordinated over phone to get back him to original route, meanwhile we enjoyed pure desi breakfast including Kachori, Jalebi, Imerti. Soon, he arrived and we again started our journey. 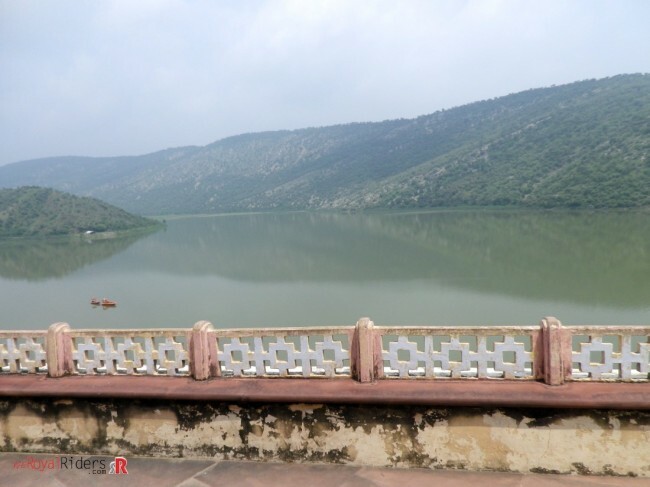 Our first destination was Silserh Lake which was built by Maharaja Vinay Singh in year 1845 ,this lake would also served as reservoir for people of Alwar for the then water needs. 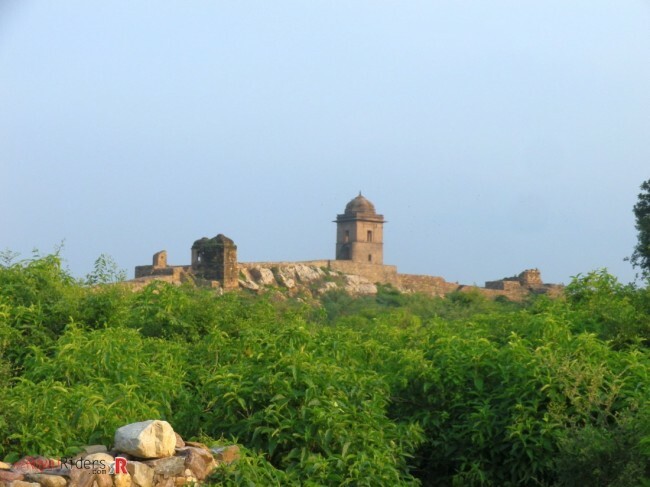 A beautiful Lake palace was also built by Maharaja for his beloved wife Sheela which was used as Lake palace and hunting lodge. Now this palace has been turned into hotel by Govt. and you can stay into it. 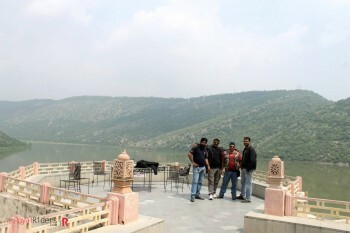 Another picture at Lake Palace. Smile and click..at Silserh Lake Palace. We had a some refreshment at the palace including cold drink, paneer pakoda, aloo pakora and pyaas pakora. 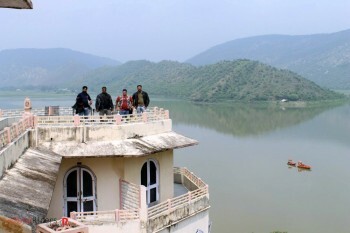 On this lake palace, you can go for boating, even scuba diving , however we had no such plans as we were more interested in other destination. 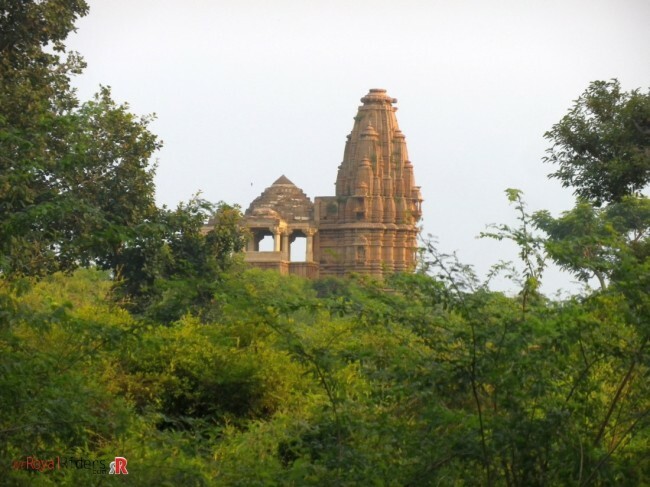 We left it soon and then went to Sariska Inn resort to leave our baggage and to have lunch. 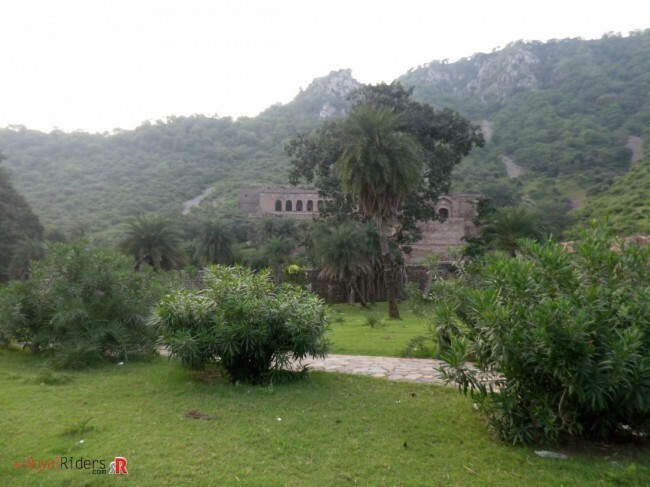 This resort is also mentioned on Silserh website and is in way back to Alwar from Siliserh. 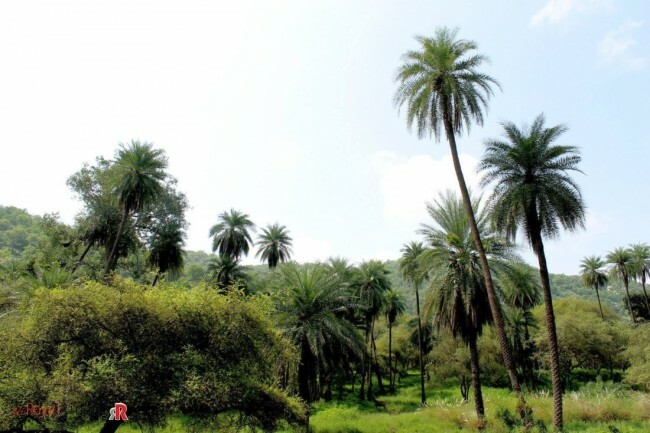 Though this resort looked big and nice, is also surrounded by all green and on one side it has hill but on the term of service, its total disaster. 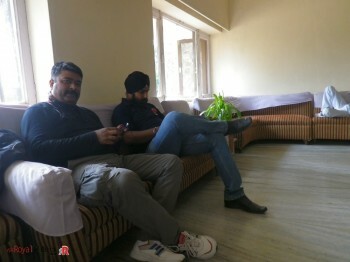 As we took multiple air-conditioned rooms, they were able to give us some discount, but this place was full of issue from electricity to food, nothing was good there. Anyways, you can’t always know which is good or which is bad in advance without actually checking in. 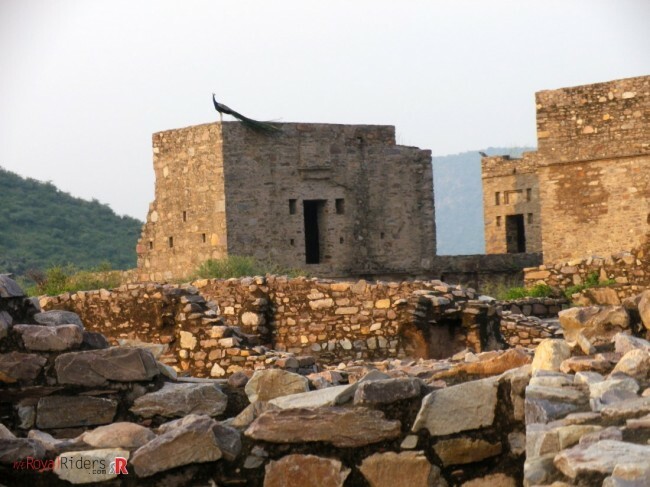 So from here, we decided to go for Bhangarh Fort which is famous for its story of being haunted. 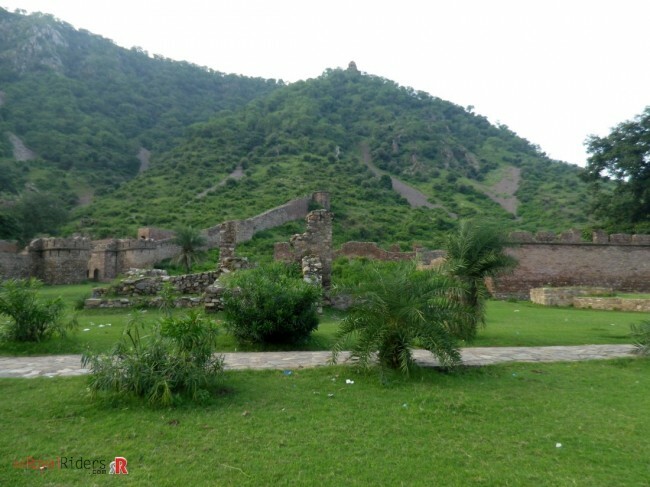 As per story speculated by locals, the city was ruined by curse of magician because now what all you see is ruins and nothing else. 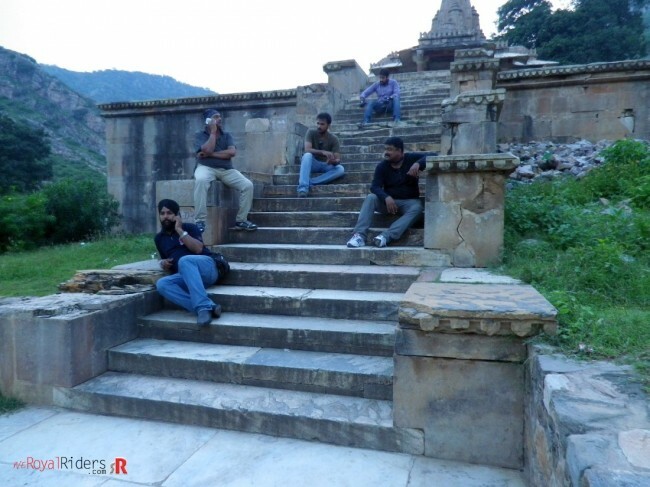 Royal Riders on Way to Bhangarh Fort on their Royal Enfields. 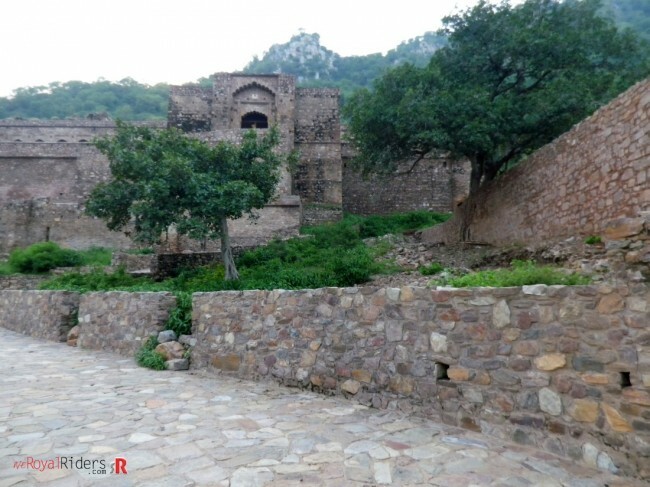 But before Bhangarh, it was almost time for lunch and everyone was already feeling hungry so we decided to stop at Tiger Den, which is again resort controlled by tourism department, it is in way to Bhangarh Fort, right in front of entrance of Sariska National Park. 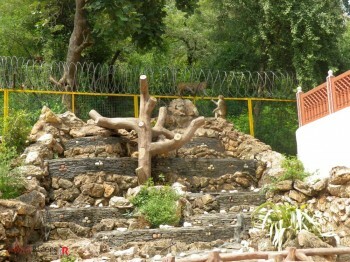 Mr. Rajesh and Mr. Harshapal, wating for food to be served at Tiger Den. We ordered regular food like Dal , Sabzi , Rice etc. but they took good 1 hour to serve it, however, when food was served, it was worth the wait, though it was simple food but was so delicious. It was also nicely served and everyone was satisfied after this lunch. Though was not cost-effective considering the kind of food we ate but its sheer simplicity yet delicious taste made all of us happy. Now with our tummy loaded with fuel ie. 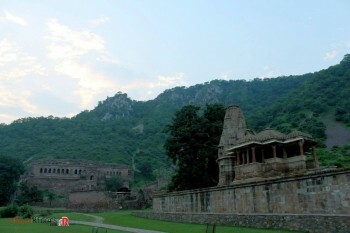 food, we again started towards Bhangarh Fort, which was supposed to be sweet short ride of about 65 kms from this place. It was all pleasant greenery around us, never felt at once that we are in Rajasthan which creates pictures of greenery deprived place. 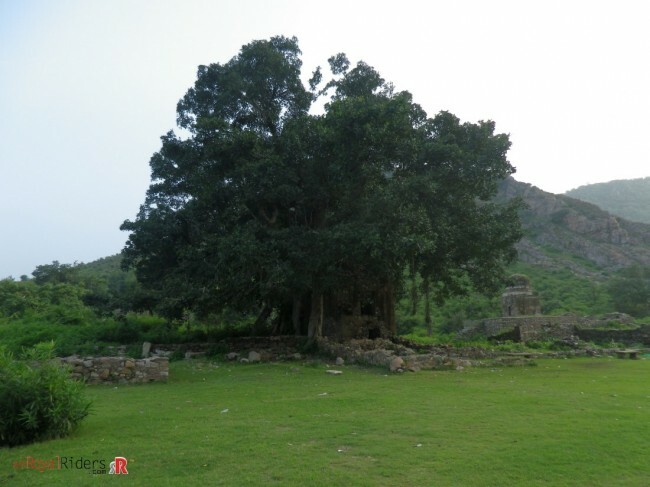 On way to Bhangarh Fort through all greenery. 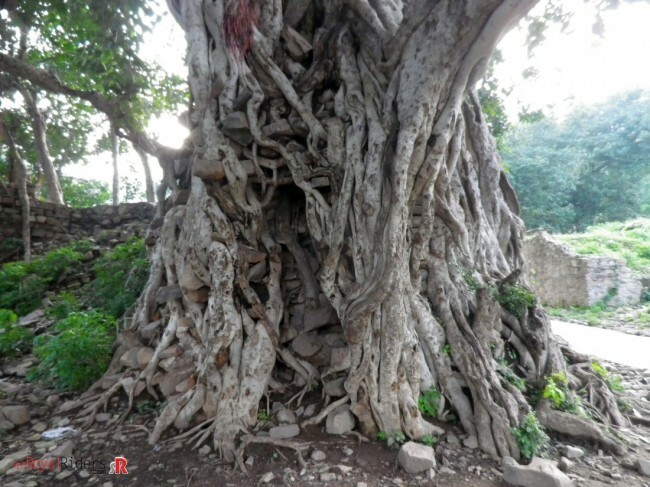 We started to see sign of ancient structures. 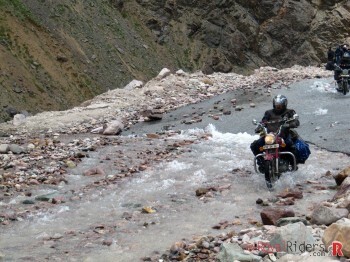 Roads were becoming narrower. Though we were enjoying it a lot with hills surrounding but roads were so bad that at once we started to feel that it is never going to end. 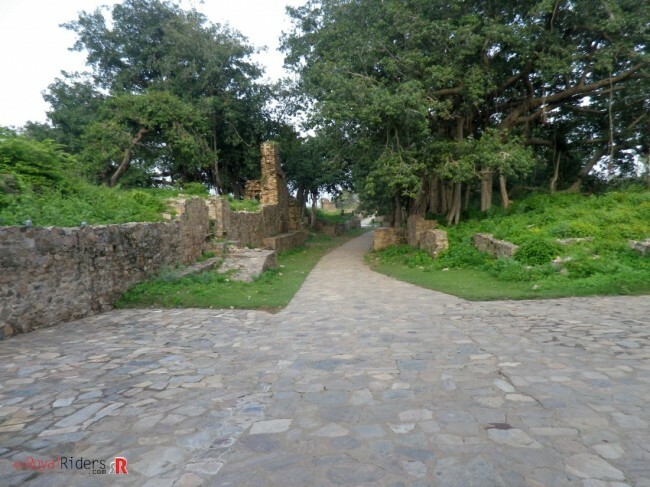 The road from Sariska to Bhangarh fort is in very very bad condition that some of you may develop backaches. You can’t drive more than 20-30 kmph on this road without hurting your back or vehicle. 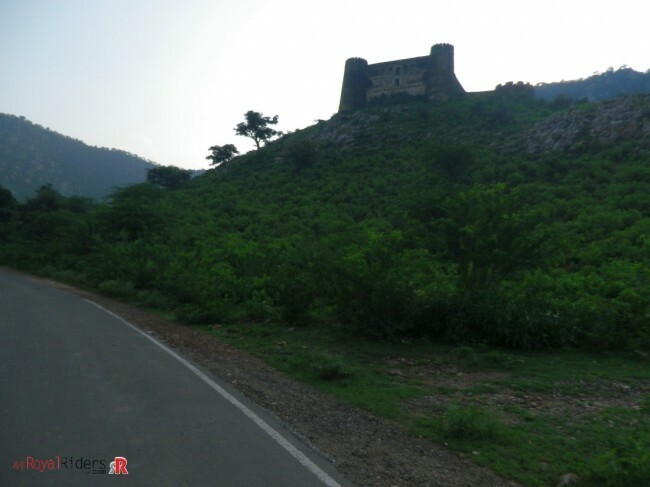 Because of these unexpected bad roads, we reached Bhangarh Fort very late , infact this 85 Km stretch took our precious 3 hours to reach there instead of 1 and half hour. 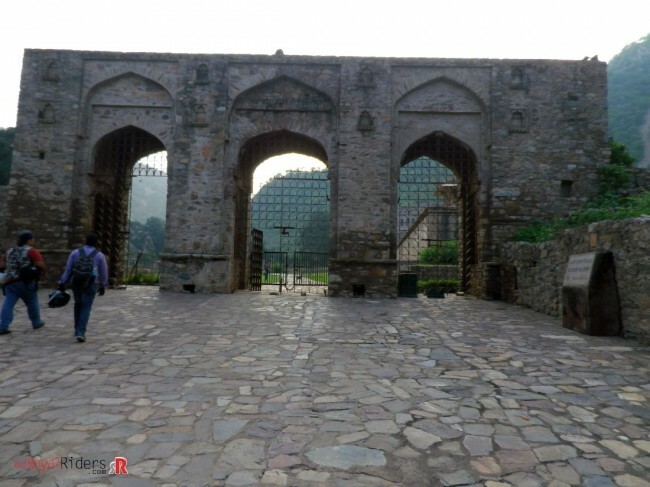 So finally we reached the Bhangarh fort, we saw some local tourist at gate but hey.. , it was utter disappointment as what we can see is a big gate and just ruins behind it and nothing exciting. 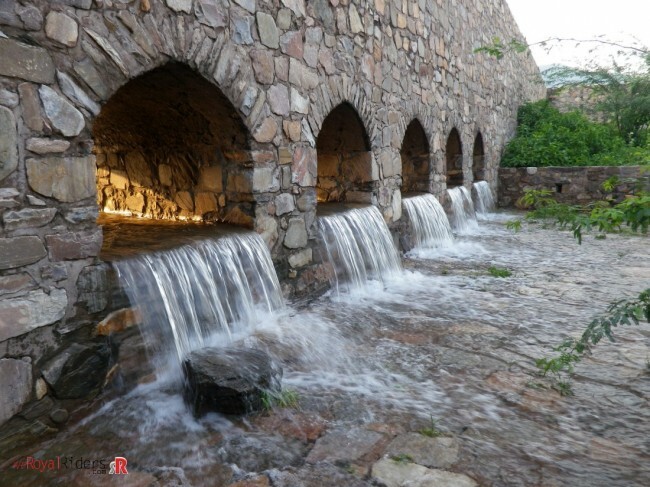 But to our pleasure we noticed fresh water flowing through the fort, it was very refreshing to see it such clean water stream as we rarely see similar sites in cities. Once an active market , now ruins. 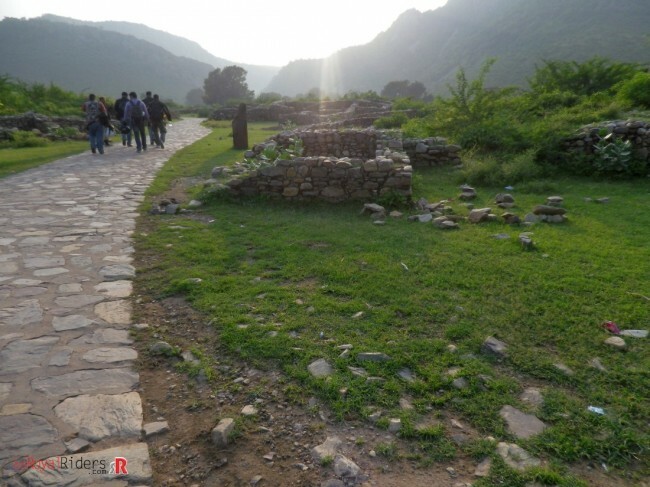 At first, when you reach Bhangarh Fort, you will not see anything much exciting, may even disappoint you but once you start moving in, you will start enjoying this place. 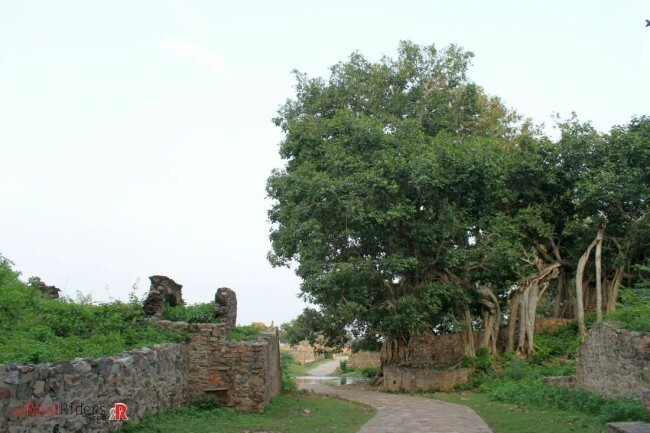 Though once it was populated by humans, now its mostly untouched and all you see is few tourist, some locals and big remains of palace, temple playing with nature as they were destined to get deserted by human and then adopted by mother nature. 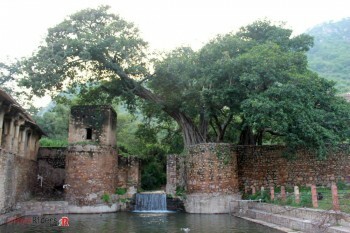 You will love to see nature taking over ruins of city and now peacocks, peahen, langoor , macaque monkeys dwellers of this place. 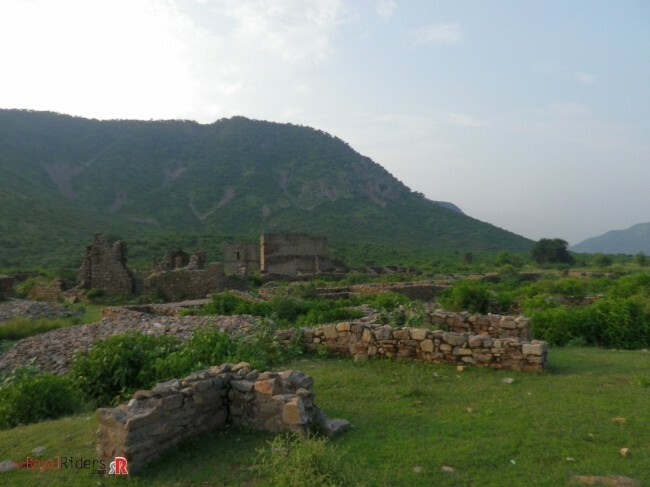 The ancient township of Bhangarh was founded in the later half of 16th centuary A.D. by Raja Bhagwant Das, the then ruler of Amber and later on it was made capital of Madho Singh, brother of Raja Man Singh. 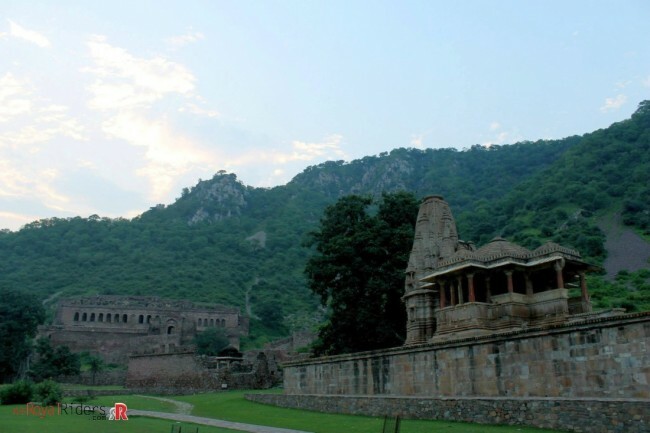 The remains of Bhangarh consist of fort walls, gateways, markets, havelis, temples, royal palace, chhatris, tomb etc. 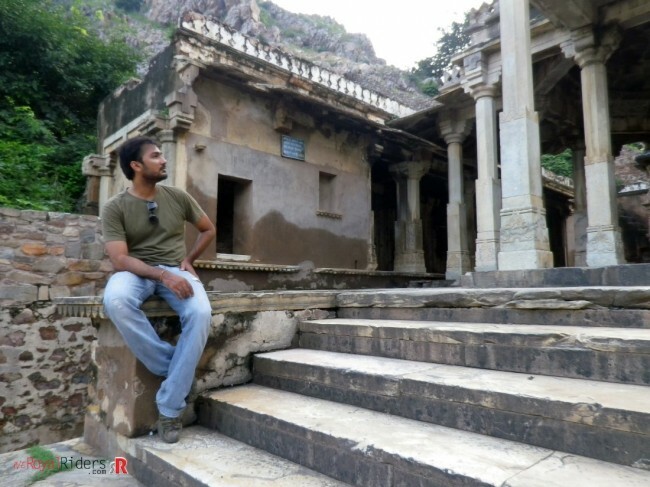 There are so many places to explore in short time that you will probably get tired if you visit all. 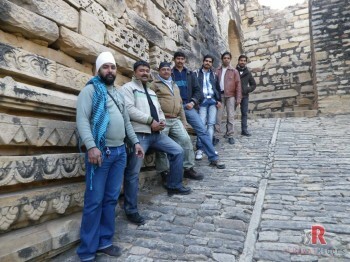 Infact our senior riders who have been to this place already, decided to stay at second gate while other went on exploring. 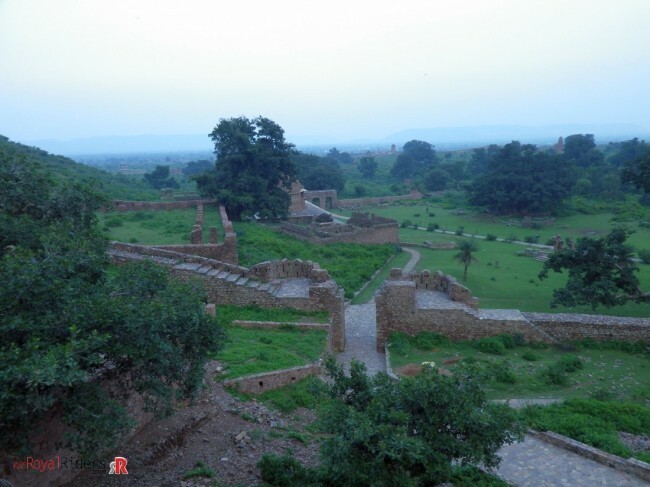 We reached top of Royal Palace which is now 3 story tall but used to be 7 story in its days, though now all ruins, still there were some Chhatri at top of hill we wanted to explore but it was already getting dark, so we decided to move on. 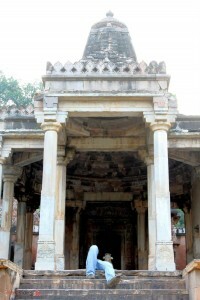 Everyone enjoyed this place , there some significant marvels here like this temple in last picture and so on. Finally it was dark, so we decided to leave. right through the two days of ride. Glad to see that you took time to read it, we also missed you on the ride.